Geometric decor is incredibly trendy right now because such decor isn’t only modern and simple to create yourself, it’s also universal for men, women and even children. 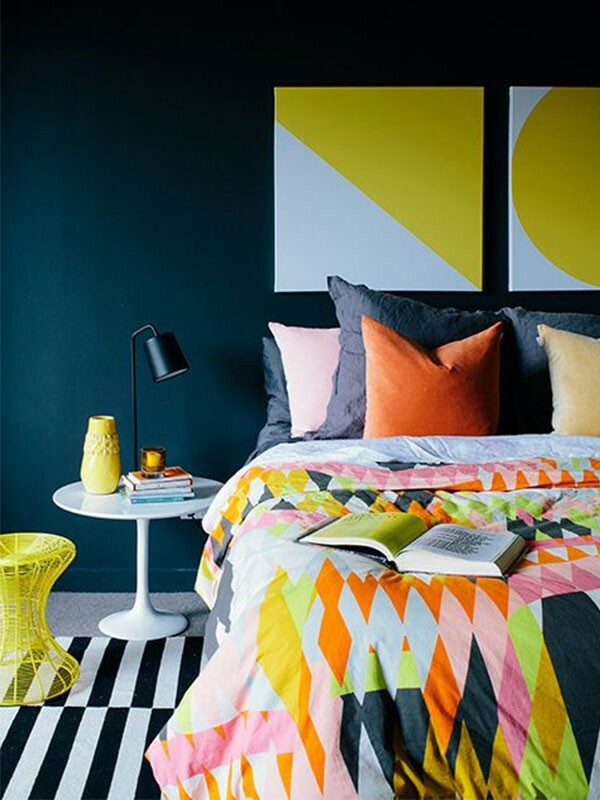 There are two most popular ways to incorporate geometric patterns into bedroom decor: bedding or headboards. Buying or making some cool geo bedding is the easiest idea to bring fashionable patterns to your space, you can choose various colors and figures and change them as often as you want. A geometric headboard is a real attraction that highlights your sleeping place, and you not only make it but also paint it. You can also go for geometric art pieces, lamps, chandeliers, wallpapers or even floor decor. Get inspired by the ideas below and make your bedroom pop!